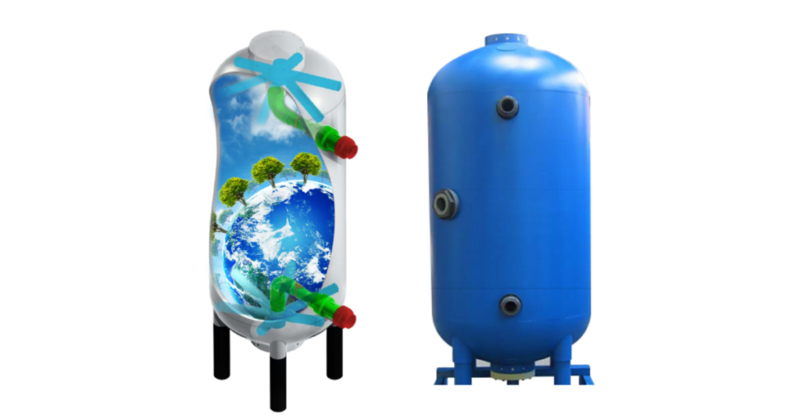 Glacier Filtration - News - Glacier’s Polyamide Pressure Vessels are 100% recyclable! Did you know? Polyamide Pressure Filter Vessels are completely One Piece Moulded Construction with an additional internal liner of ethylene acid polymer to provide superior chemical resistance. The superior and consistency in quality and reliability provides our clients and operators great peace of mind and operational integrity. Suitable for Single Layer and Multi Layer Filtration Medias, Granular Activated Carbons, Ion Exchange Resins, Demineralisation and Remineralisation. Polyamide Pressure Filter Vessels are 100% Recyclable by Depolymerisation. Depolymerisation sounds very complex, but to simplify it in the extreme, imagine breaking your house down into grains of sand and then building it back up again. It is a chemical process that can turn previously un-recycled plastic into new products, by the converting of a polymer into a monomer. Clean monomers can then be reclaimed and reused for making new plastic. Post-Consumer Recycled means “Recycling Waste Into Stuff”. Once a material or finished product has served its intended use and has been diverted or recovered from waste destined for disposal, it is then considered “post-consumer.” Having completed its life as a consumer item, it can then be recycled as such.